Basil is one of the most commonly known herbs and has a place on the shelf of every chef and household cook in the country. However, most people aren’t aware of the benefits beyond the flavorful seasoning that this spice has to offer. Extracted via steam distillation, Basil essential oil is favored by expert aromatherapists who are aware of the wide spectrum of therapeutic benefits in every drop. Let’s put on a pair of lab glasses and take a closer look into what makes this green herb so valuable. 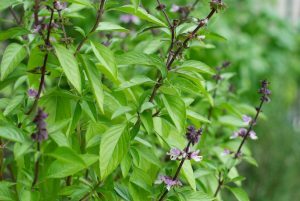 To start, Basil essential oil comes from the flowers and leaves of the plant. 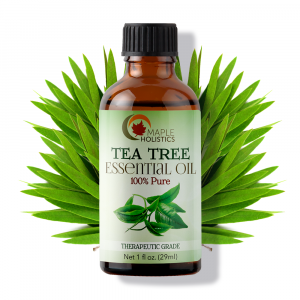 The best variety for essential oil extraction is either from India or the neighboring country, Nepal. Basil belongs to the plant family Lamiaceae, which is one of aromatherapy’s most popular plant families. Basil is known to be many different things (antiseptic, antiemetic), but above all, it’s a great cephalic. This means it’s remedial for the head, and if utilized in a proper synergy, can activate powerful constituents organically found in the garden green for good hair health. 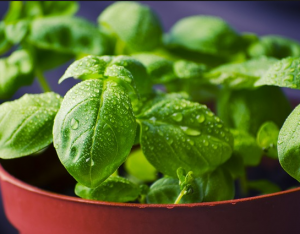 Basil is rarely found in hair care products because it needs to be carefully balanced to be effective. It also requires a careful formulation to maximize its potential. If the opportunity arises and you find a product or shampoo which uses Basil, make sure that it is from a reputable brand. To be effective, the popular herb should not be used on its own, but rather play a role in a formula. Part of what makes it an efficient cephalic is the activation of its properties. Basil plant in the Mints or Lamiaceae family. Basil is an excellent source of antioxidants. It protects white blood cells with two main antioxidants called Orientin and Vicenin. While protecting the blood cells, it helps slow down the aging process. The protection of your white blood cells also protects your immune system as well as giving it a boost. Antioxidants are necessary for the body because they help get rid of oxidants, aka, free radicals. Free radicals cause illness, disease, and speed up the signs of aging. Antioxidants work on oxidants like antibiotics work on bacteria. There has to be a balance of antioxidants and oxidants in your body. Having too much or too little of one can be detrimental to your health. Antioxidants are often most potent when they’re in their natural form, which is why fresh basil is a great source of them. As you get older, your body will become weaker and need a more steady supply of antioxidants. As air pollution gets worse and you come in contact with more chemicals than ever, it’s your job to have enough antioxidants in your diet. They are crucial for maintaining a youthful complexion and staying healthy. Antioxidants aren’t just a trend that will pass, they are necessary for our body’s systems upkeep. 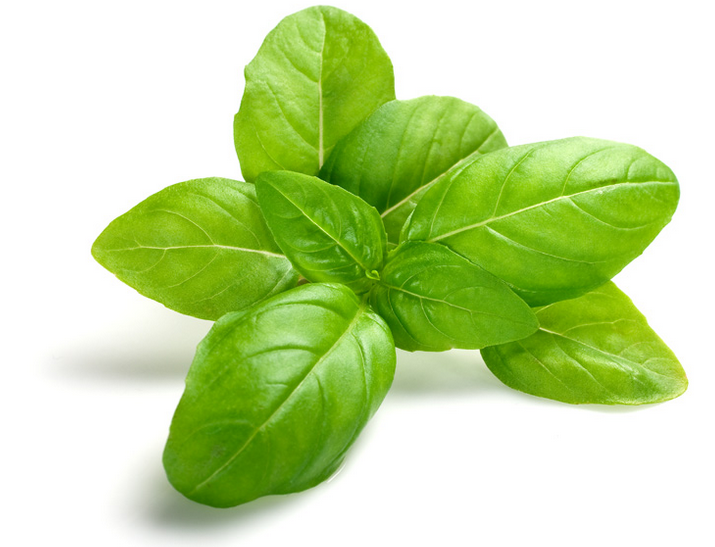 Basil is easy to add to many different types of food such as pizza, salad, or even a chicken dish. Making it into pesto makes it even simpler. Another way it benefits your health is by reducing inflammation. Inflammation in small amounts is a good thing. It’s just the way your body protects you from infections, tissue injury, and immune reactions. Sometimes, inflammation affects the whole body- when it occurs systematically and chronically which can be extremely harmful to your health. Inflammation is usually the root of most diseases. Therefore, the essential oils in basil can benefit those who have arthritis, muscle pains, or even cardiovascular disease and cancer. They can do this because they contain eugenol, citronellol, and linalool. The inflammation-fighting substance in basil can block enzyme activity called cyclooxygenase in the body. Many over-the-counter anti-inflammatory medications work by blocking the activity of the same enzyme. This herb can help provide optimal health and help fight off most diseases. It not only helps heal inflammation, but it also relieves the symptoms too. 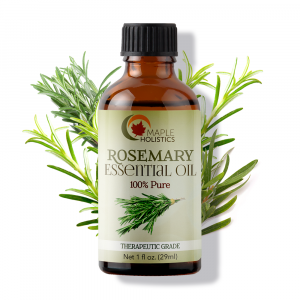 It can be great for treating rheumatoid arthritis or inflammatory bowel conditions. Basil can be a great alternative to Ibuprofen! There’s no surprise that basil is the plant of love in Italy! The aroma of this plant sets the mood. It can increase blood flow while reducing blood pressure. It may also be able to influence the development of cardiovascular disease and diabetes. Basil is rich in magnesium, which is great for helping with blood flow. 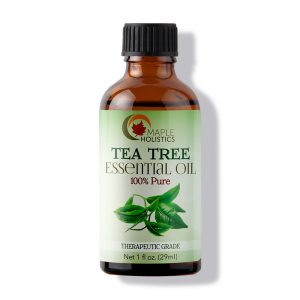 The antioxidant and anti-inflammatory properties help the heart’s vessels to function and relax. Basil has been shown to reduce circulating glucose levels in diabetic people. It’s unclear what exactly is responsible for these effects, but some researchers believe it’s the involvement of the essential oils. The triglyceride and cholesterol-lowering effects of basil can also prevent cardiovascular disease. The combination of high circulating triglycerides and LDL cholesterol are risk factors for stroke, heart attack, and atherosclerosis. Basil shows therapeutic potential to prevent and treat cardiovascular disease. There is also the potential for basil to prevent cancer. It contains phytochemicals that specifically help fight against skin, liver, lung, and oral cancers. It can do this by increasing antioxidant activity, triggering cell death, changing gene expression, and slowing cell division. There is definitely more research that needs to be done but basil extract can be used along with current treatments for cancer. Of course, the plant doesn’t stress out. But we sure do! Basil’s aroma plays a big part in setting the mood for relaxation. Stress is a natural and normal part of every day. The feelings of stress occur when our bodies are unable to cope with the demands put upon us. Adrenal glands release cortisol, adrenaline, and corticosterone which gives a boost of energy. The energy boost will hopefully enhance your focus, improving your mental clarity and by helping you perform your best at work. Certain types of basil act as adaptogens, which enhances your body’s natural response to emotional and physical stress. Adaptogenic herbs have no effect of moods, but instead, they help the body function better in times of stress. Holy basil, in particular, has been found to decrease corticosterone levels specifically. Having low levels of corticosterone doesn’t only improve mental memory and clarity but it also can reduce the risk of age-related mental disorder in the long-term. Basil is great for when you’re feeling anxious, stressed, or even depressed. The best way to reap the calming benefits is simple- just make a cup of Holy basil tea. Drinking the tea will put all the benefits into play. 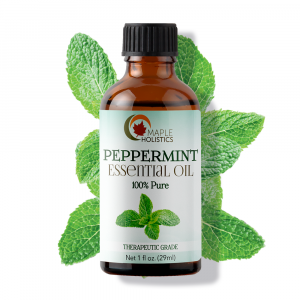 Basil’s essential oils are ‘essential’ as a cleanser for those with oily skin. Wet basil leaves can also be placed under the eyes the reduce puffiness and the appearance of dark circles. Its antioxidants can reduce the appearance of fine lines and wrinkles. It can help clear pores and dirt. Basil’s antimicrobial properties are what make it so great for preventing and treating acne. When combined with other ingredients like mustard oil, or lemon juice, it can help treat eczema, acne, and even ringworm. In testing, it was discovered that a three percent concentration is the most effective amount of holy basil to kill the bacteria that cause acne, which is great to know if you are prone to getting breakouts. Basil can be used to treat mild fungal and bacterial infections by applying it to your skin. It’s best to combine the extract with an oil that’s easy to absorb, such as olive oil. The extract made from basil leaves can also boost wound healing strength and speed. A few people may even use basil after surgery to protect and heal their wounds. It also may even be able to help improve the appearance of scars. Learn about the health benefits of Oregano Essential Oil right here on Maple Holistics! There are many different types of basil. Sweet basil, Bush/Greek basil, Thai basil, cinnamon basil, and lettuce basil. The basil that is most commonly used in herbal tea and supplements today is Holy basil. The benefits vary based on which type of basil you use. Basil doesn’t only taste and smell good but as you most likely already know, it also provides plenty of health benefits. It can help reduce stress and anxiety, protect you from infections, lower your blood sugar, and lower your cholesterol. Since it can ease inflammation, it’s great for treating rheumatoid arthritis and inflammatory bowel conditions. Keep in mind that incorporating holy basil into your routine may be safe for you specifically. Everyone is different though. There has not been enough research done to recommend it to be used by children, infants, and pregnant or breastfeeding women. You also should only buy it from a trustworthy, organic, and unpolluted source just to be sure it doesn’t contain too much toxicity. Being a close relative of rosemary and lavender, there is no surprise that basil can do wonders. From being used in cooking to beauty products, to an adaptogen, this makes basil a great staple to have in your kitchen cabinet.